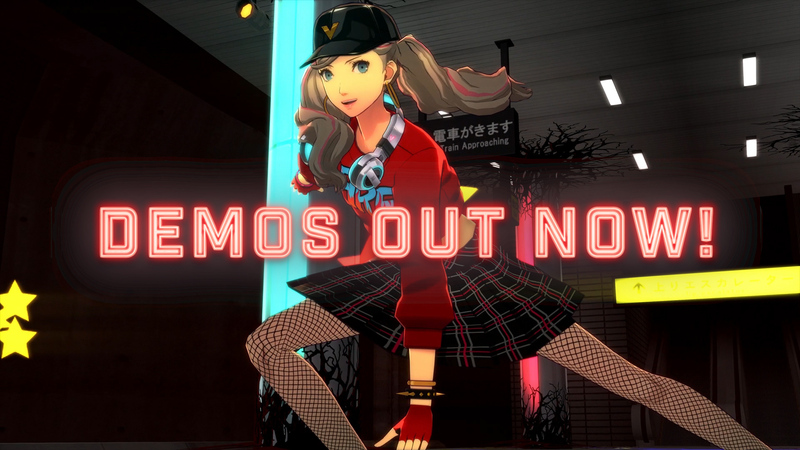 Atlus has announced that demos for the Persona Dancing games, Persona 3: Dancing in Moonlight (P3D) and Persona 5: Dancing in Starlight (P5D), are available now for PlayStation 4. Both demos feature 4 playable songs from the full versions of each respective game. You can reach the demo pages for each game at the links below. You can check out the demo trailer below. In addition to this news, Atlus also revealed the digital pre-order bonuses for both games on PlayStation 4. The digital pre-order bonuses will be the same as the physical version bonuses. Those who pre-order P3D will receive Shinjiro Aragaki as a playable character along with the Persona 3 Final Boss theme, “Battle Hymn of the Soul.” Those who pre-order P5D receive Goro Akechi and the Persona 5 Awakening theme, “Will Power.” If you digitally pre-order the Persona Endless Night Collection, you’ll receive both characters and songs. Both characters and songs can be used interchangeably between games. There will be no digital pre-orders for European fans, but those who purchase the game digitally within two weeks of the game’s launch will receive the same bonuses as those mentioned above. This applies to both the PlayStation 4 and PlayStation Vita versions of the game. The P3D and P5D demos will launch for European fans on December 11. The full game is set to launch in Europe on December 4. Now for some more fun news. 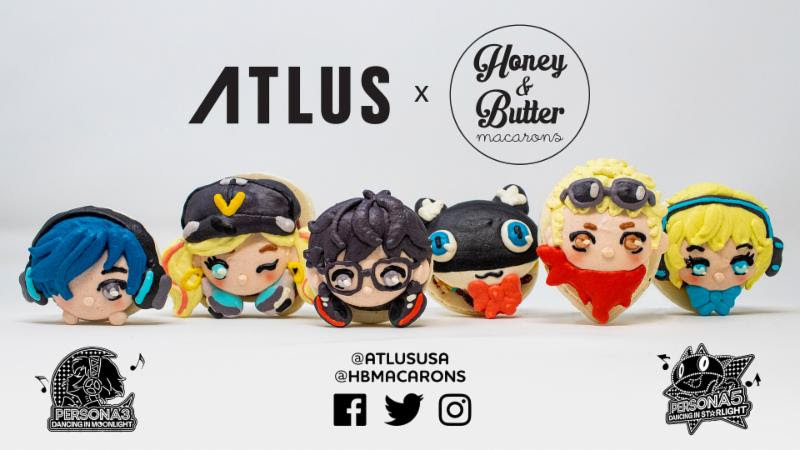 Atlus is collaborating with Honey & Butter Macarons in Irvine, California, USA to sell some P3D/P5D character macarons. These macarons, along with some P3D/P5D merchandise, will be available to purchase from November 24-28 at the Irvine Spectrum. The bakery will also be redecorated to feature the Phantom Thieves and SEES members in their dancing outfits. Stop by if you’re in the area from November 24-28! Persona 3: Dancing in Moonlight and Persona 5: Dancing in Starlight are set to launch on December 4, 2018 for PlayStation 4 and PlayStation Vita in the Americas and Europe.